Book through Klook and get to experience climbing the world renowned Eiffel Tower in Paris! The tour guide was knowledgeable and accommodating. The whole tour was amazing but be prepared cause you will need a lot of endurance in climbing up the stairs up to the 2nd floor. Top view was mesmerizing! 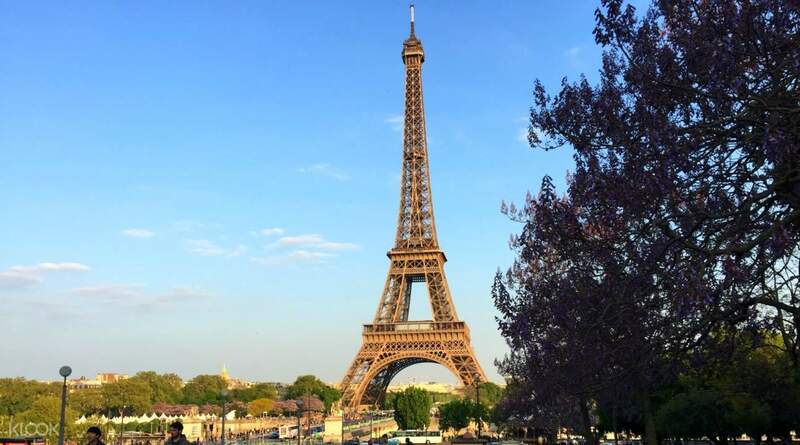 If you’re going to visit the romantic city of Paris during your trip to France, then one of the best things that you can do is to visit the world famous Eiffel Tower and climb all the way to its tippy top. Book through Klook and get to experience the climb of your life by going up several flights of stairs and riding an elevator to reach its highest levels! 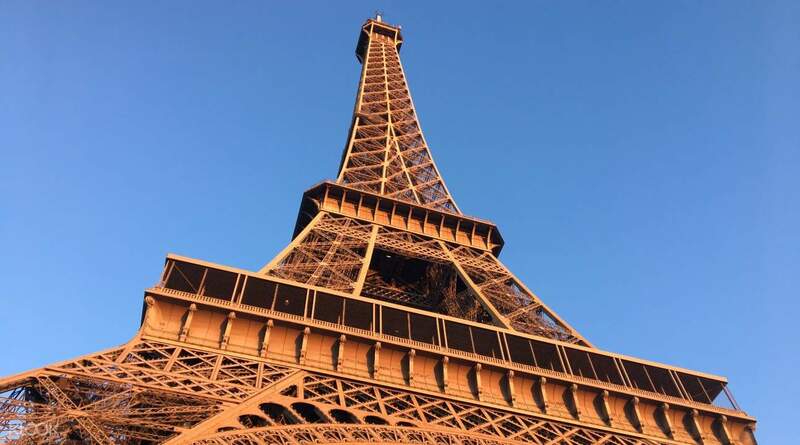 Not only will you get the thrill of going on a quick journey up inside a looming structure that pierces through the clouds, you’ll also get toured around by a fun and engaging guide, who will share entertaining stories regarding the history of the tower as well as interesting factoids about its significance to the country and about its creator, Gustave Eiffel. 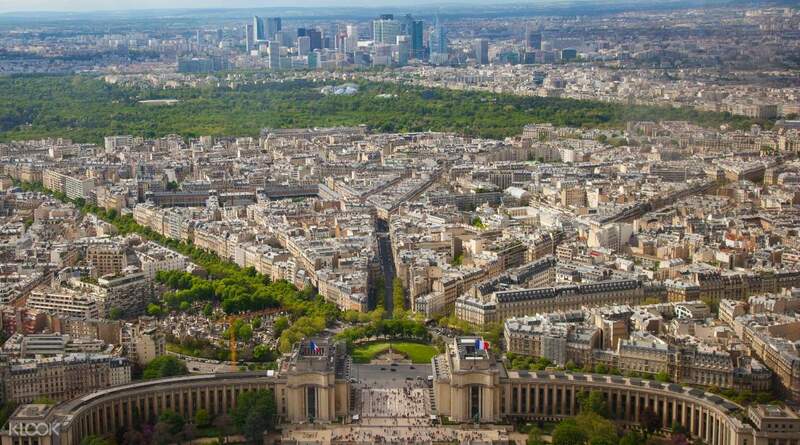 The best part about this is that you’ll get jaw-dropping views of the Parisian cityscape from breathtaking vantage points, so make sure to bring a camera so you can take wonderful, panoramic snapshots as you move along inside, especially if you pick the package that includes an access to the summit. This is definitely a must for any adventure visiting the City of Lights. 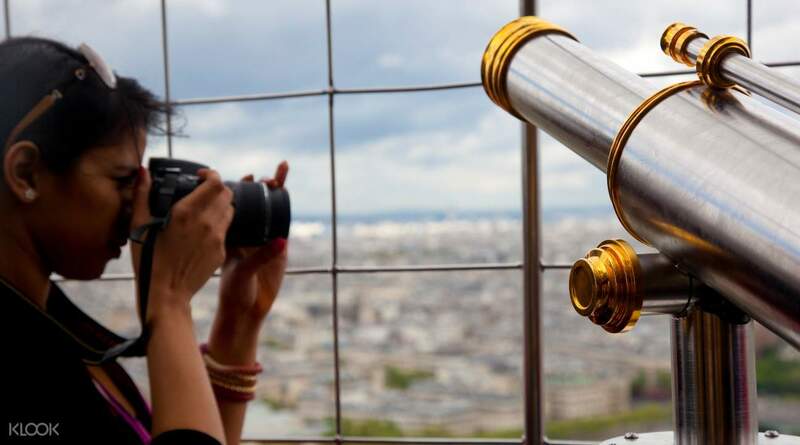 Book through Klook and get to experience climbing the Eiffel Tower by going on a tour inside it! The tour guide was knowledgeable and accommodating. The whole tour was amazing but be prepared cause you will need a lot of endurance in climbing up the stairs up to the 2nd floor. Top view was mesmerizing! The tour guide was knowledgeable and accommodating. The whole tour was amazing but be prepared cause you will need a lot of endurance in climbing up the stairs up to the 2nd floor. Top view was mesmerizing! Had to wait very long despite booked time. However, the guide Marion was very good and knowledgeable so she is able to fill our waiting time with interesting facts and stories about the Eiffel Tower. Had to wait very long despite booked time. However, the guide Marion was very good and knowledgeable so she is able to fill our waiting time with interesting facts and stories about the Eiffel Tower. Thank you for raising your concern to us. We sincerely regret to hear that you had unsatisfactory experience and we take your feedback extremely seriously. Your case has been noted and passed to the local operator for further investigation. Our specialist has already been assisting you with this query. Your understanding will be much appreciated. Thank you for raising your concern to us. We sincerely regret to hear that you had unsatisfactory experience and we take your feedback extremely seriously. Your case has been noted and passed to the local operator for further investigation. Our specialist has already been assisting you with this query. Your understanding will be much appreciated.